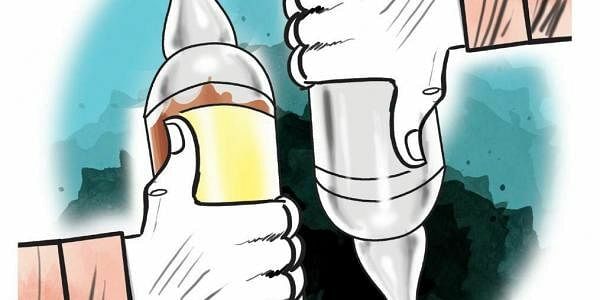 The Election Commission said here that the police seized 75,968 bottles of IMFL worth Rs 2,20,88,000 and five vehicles from Khoraj village late last night. NEW DELHI: In one of the biggest seizures in recent times, the Gujarat police has seized Indian-made foreign liquor (IMFL) worth Rs 2.2 crore in Gandhinagar ahead of the Assembly polls. According to the poll panel, liquor is one of the popular inducements used to persuade voters in the dry state. A statement said the premises were rented to an Uttar Pradesh resident for metal scrap business and it was being illegally used as godown for bootlegging. The statement said the seizure is the biggest in recent times in the dry state. Gujarat goes to polls on December 9 and 14.